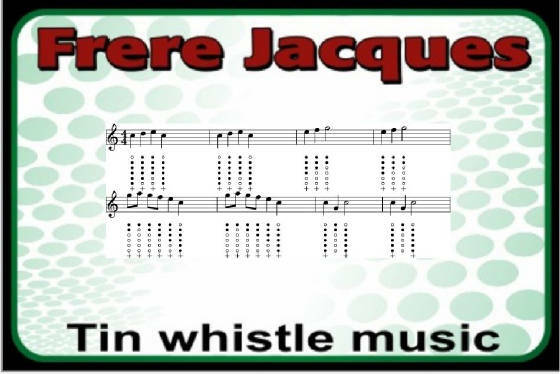 Frere Jacques / Brother John Tin Whistle Sheet Music for a French traditional song. 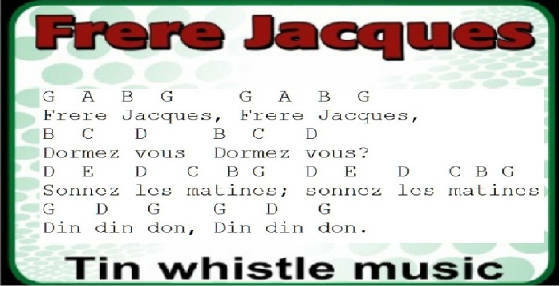 The version I'm playing in the video is the second one down on a D whistle. The first one goes a little bit too high for me. This is a popular childrens song. Also suitable for The Recorder.